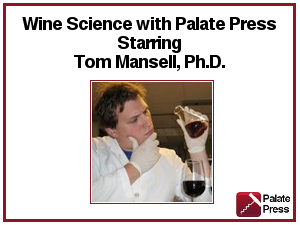 Editors’ note: To close 2011, Palate Press: The online wine magazine will be featuring some of our top stories from the past year. Our first piece comes from the talented Erika Szymanski, who lends her passion and background for wine science to the screwcap/natural cork debate. This is not your typical cork versus screw cap article. This is the only time I will use the word “oxygen” in this piece. 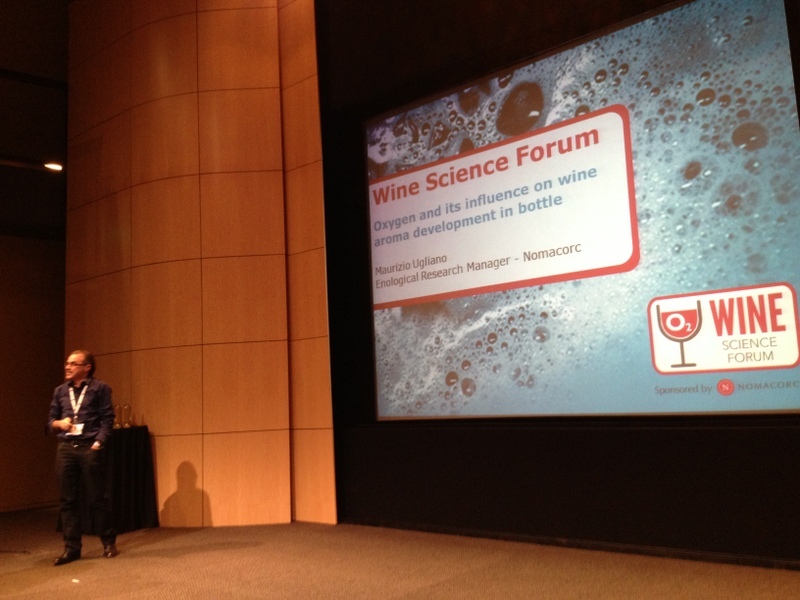 Search for “cork vs. screw cap” and you’ll find plenty of discussions on reduction-oxidation chemistry, an increasing amount of data, and plenty of arguing. What you won’t find is much comparing corks and screw caps on an environmental footing. Green has been, for the past few years, as important to the wine industry as red and white. Wineries are conspicuously moving to lighter bottles, biodegradable shipping containers, and energy-efficient operating systems. The cork industry publicists have begun marketing natural cork as the earth-friendly closure option, but that discussion really hasn’t hit mainstream. I searched the American Journal of Enology and Viticulture, The Australian Journal of Grape and Wine Research, The Journal of Wine Research, The International Journal of Wine Research, and Wines and Vines for articles on the environmental impact of producing cork and/or screw cap closures and found none. Using information generated—or funded—by either cork or screw cap companies is far from ideal, but there just isn’t much else out there. Even a book published “in conjunction with The International Screw Cap Initiative,” cleverly entitled Taming the Screw: a Manual for Winemaking with Screw Caps, barely mentions issues of environmental sustainability1. So I went searching. My goal here is to give you a comfort-food digest of the data I found. Let’s begin with cork harvesting. Cork literally traces its roots to a special type of Mediterranean oak called Quercus suber L. Harvesting cork does not kill and certainly does not involve cutting down the cork tree; the life of these valuable trees is actually carefully guarded by law. Cork—a type of outer bark called cambium—is peeled off of the tree in thick layers. The tree is then left to grow a new cork layer which can be harvested again in about nine years. Each tree can be harvested for about 200 yearswith little or no recourse to fertilizers, herbicides, or irrigation2. Cork forests spread across Portugal, Algeria, Tunisia, Morocco, Spain, France, and Italy and are considered a major biodiversity hotspot. Screwcaps are made from aluminum plus a plastic (or sometimes tin) lining to prevent the aluminum from contacting the wine. Aluminum starts off as bauxite, a mix of aluminum hydroxide and impurities lifted out of big surface mines. Aluminum hydroxide is converted to aluminum via two chemical processes, each of which invokes large quantities of water and electricity. Bauxite is mined virtually world-wide including, most famously after last year’s “red mud” disaster, in Hungary. Red mud, also known as bauxite residue, is a highly alkaline and therefore caustic and dangerous sludge that can also include toxic heavy metals like arsenic and lead. The sludge is usually sequestered and “remediated,” but accidents do happen5. Only one systematic study has compared cork closures and screw caps head-to-head on environmental terms, it seems, and that study was conducted by PricewaterhouseCoopers/Ecobilan at the request of Corticeira Amorim, the world’s largest manufacturer of cork closures. Using “life cycle analysis,” they evaluated seven “environmental indicators:” non-renewable energy consumption, water consumption, emission of greenhouse gasses, contribution to atmospheric acidification (think acid rain), ozone depletion, production of solid waste, and contribution to surface water eutrophication (think nitrogen run-off and algae blooms)6. No proprietary information from screw cap companies was used and the screw cap analysis therefore talks only about production of component parts; the omitted steps, however, could only have increased the environmental impact of screw cap production7. The report also claims that the worst-case scenario was always assumed for cork production. Finally, the report was reviewed by several independent individuals and agencies including a plastics association, though a similar aluminum association declined to participate. The study results put cork on top—by a very wide margin in several cases—for six out of seven environmental indicators; aluminum won out on water consumption. Now, remember that this is a study funded by the cork industry and using limited information about the production of screw caps but, in all cases, inclusion of more information on screw cap production could only have made the screw cap outcomes worse. An important question might be whether the report omitted any obvious environmental impact factors—would any environmentalists like to weigh in on that one?—but the data seem clear on the factors that were examined. Having followed our two closures from raw materials through manufacturing and bottling, we’re left to end-of-life issues and, for both cork and screw caps, that should mean recycling. According to Portland Metro recycling, screw caps are too small and are sorted out of aluminum recycling bins and instead sent to landfills. 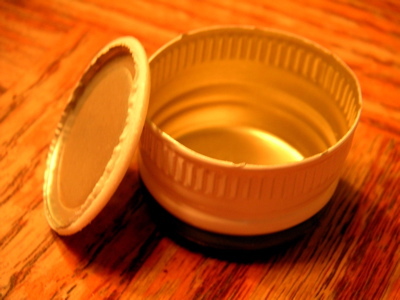 To avoid this problem, screw caps can either be “crimped” inside a larger aluminum container (like a soda can, but you just try to fit a screw cap through the opening of a soda can) or balled up in a largish piece of aluminum foil. Ideally, the plastic lining should also be removed and discarded prior to either crimping or balling. Cork is recyclable too (though recycled cork is only used for lower-quality cork products like cork boards, cork flooring, or insulation, never new bottle stoppers.) Of course, you probably don’t have a city-issued bin labeled “cork” sitting beside your plastic and paper recycling containers. Nor is cork approved for recycling in mixed curbside roll bins even in progressive cities like Portland and Seattle. If you live in Australia, you can hand your corks to the nearest friendly Girl Guide; the scout-like organization has recycled corks for years. In Portugal, you can take corks to a central recycling facility or drop them off at a cooperative restaurant. In the United States, “Cork ReHarvest” drop-off boxes are in Whole Foods and assorted other wine bottle-rich places. ReCORK (operated by Amorim, a major cork producer) also has drop-off boxes in many wineries – and with American Airlines, curiously. Or, as the Seattle Metro suggests, Americans might want to turn their used corks into creative home crafts. Cork holiday wreath, anyone? As for corks that end up in landfills, Amorim-sponsored research concludes that “the available information regarding cork behavior in landfill is not sufficient”9. The purpose of the packaging system (glass bottle and closure) is to protect the wine in the best possible way, to minimize or eliminate spoilage and waste. Even just a little spoilage, including spoilage due to cork taint, has a much higher environmental impact than the impact that comes from producing the bottle closure. When considering the product (wine) and the packaging (bottle and closure) together, Stelvin® aluminum screw caps are more sustainable than cork stoppers. They lead to reduced overall environmental impacts by eliminating spoilage due to cork taint. Unfortunately, I could find no supporting data on Amcor’s website (or anywhere else.) The claim may very well be true, but I’d like to see someone attach some meaningful numbers to those statements. While common sense is often neither common nor sensible, it seems strikingly sensible that a process involving renewable hand-harvesting from trees will win out over a process that involves mining, smelting, and toxic waste generation in a green-minded comparison. Then again, corked bottles may represent a serious resource drain in terms of water, energy, and waste as well as time, sweat, and frustration. So, which is greener: cork or screw cap? The bad news: there really aren’t enough data out there to be conclusive. The good news: that means you can decide for yourself. As a recycling and sustainability professional for the last 15 years, I would urge you to look at the greenhouse gas effects from shipping cork from Europe to the US.